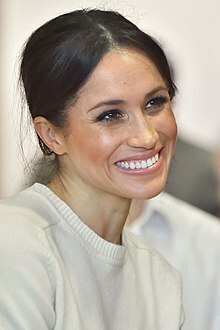 In 2018, Time magazine included Markle on its list of the 100 Most Influential People in the World, and placed her on its shortlist for Person of the Year. She was also chosen as one of the most influential women in the United Kingdom by Vogue magazine. As part of setting up their separate office or 'court' in 2019, the Duke and Duchess created an Instagram social media account, which broke the record for fastest account to reach 1,000,000 followers. In 2016, Markle became a global ambassador for World Vision Canada, traveling to Rwanda for the Clean Water Campaign. In 2016, after a trip to India focused on raising awareness for women's issues, she penned an op-ed for Time magazine concerning stigmatization of women in regard to menstrual health. She has also worked with the United Nations Entity for Gender Equality and the Empowerment of Women as an Advocate. The Duchess is a vocal feminist and intends to use her role as a member of the royal family to continue supporting women's rights and social justice. Markle became interested in the Hubb Community Kitchen, run by the survivors of Grenfell Tower fire, in January 2018. She visited the kitchen regularly throughout 2018, and suggested that the displaced women publish a cookbook to obtain funding for it. Together: Our Community Cookbook, her first charity project as Duchess of Sussex, was announced in September. Her patronage of the Royal National Theatre, the Association of Commonwealth Universities, Smart Works, and Mayhew reflects her earlier interests in the arts, access to education, women's empowerment, and animal well-being, respectively. 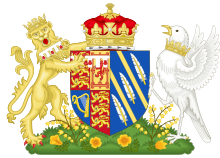 The Duchess was appointed the vice president of the Queen's Commonwealth Trust, which focuses on projects involving children and welfare of prisoners, in March 2019. 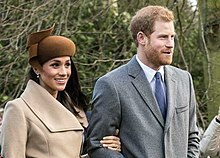 ^ "Harry and Meghan's new Instagram account is a record-breaking hit with millions". USA TODAY. Retrieved April 20, 2019.